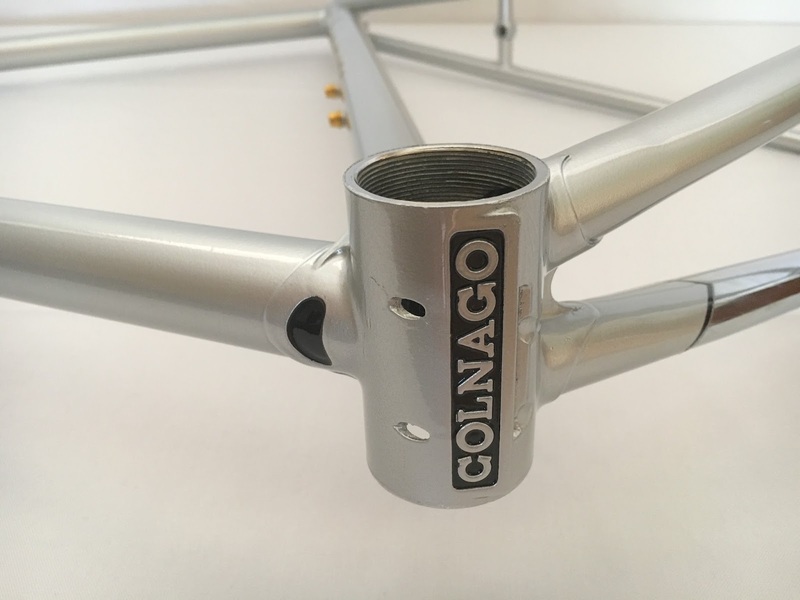 I was keen to build up a vintage steel Colnago bike with a modern Campagnolo group set so I hunted about for an early 1990's Colnago. 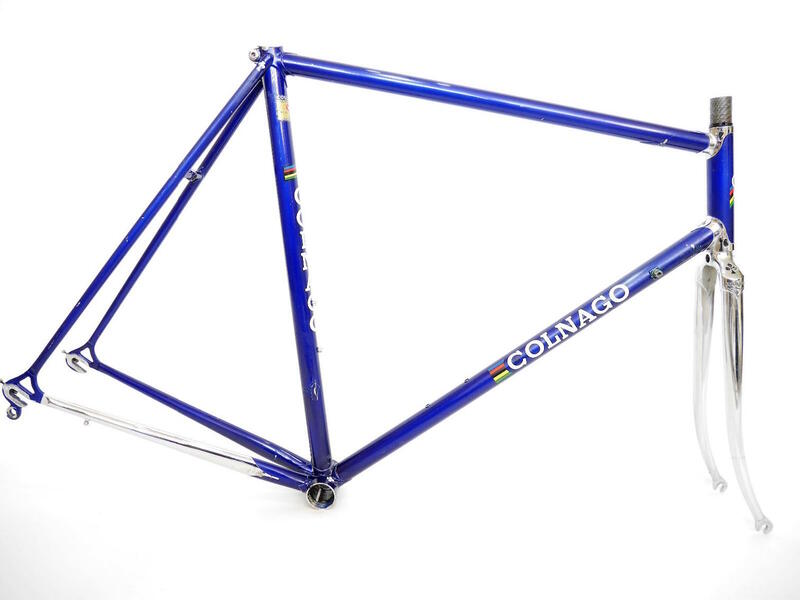 After hours and hours of trawling the regular bicycle internet haunts I found an early 1990's Colnago Super for sale at a bike shop in Belgium. I was totally in luck! The price was good, and the frame looked excellent except for the fairly average paintwork. 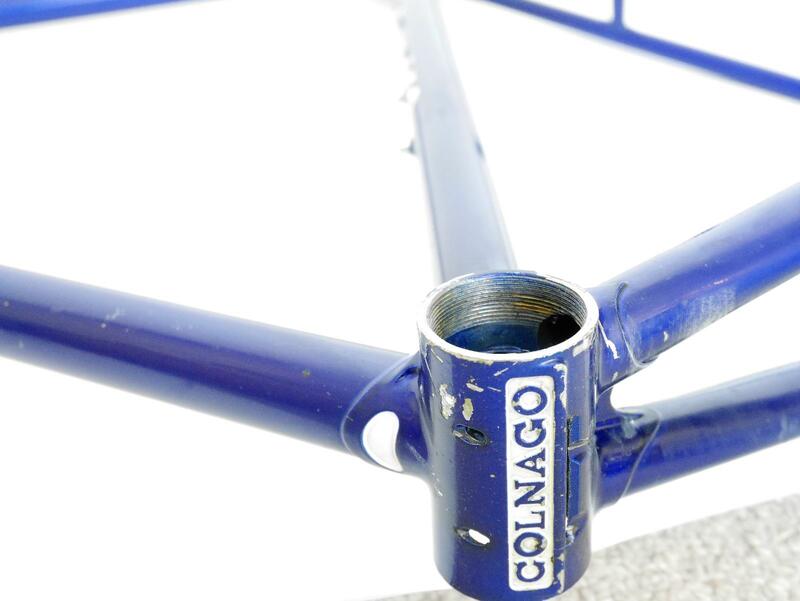 There were a few scrapes, nicks, and scratches on the frame but this was expected of a used steel frame of about 25 years old. 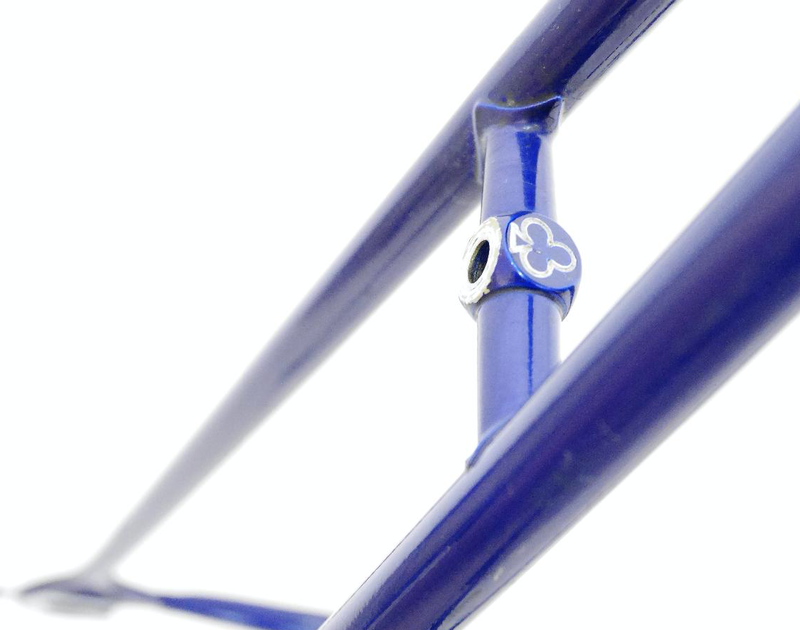 The blue frame had all the good bits: chromed forks, chromed lugs, forward facing dropouts with adjusters, a threaded headset, and Colnago pantographing on the areas you'd expect of a Colnago steel frame from the era. The best part was that the rear wheel spacing was 130mm which was just perfect for a modern group set. So after a bit of negotiating with my new Belgian friend I bought the frame and had it shipped to Perth, Western Australia. 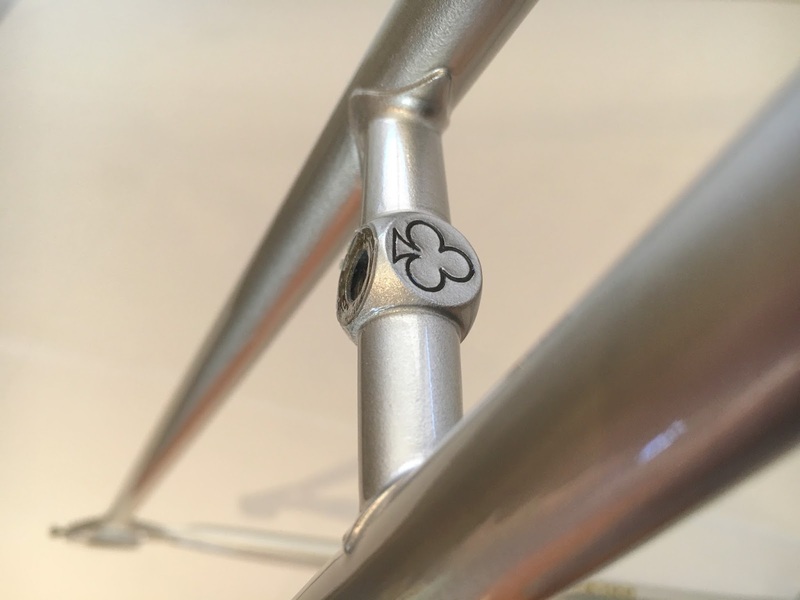 After a couple of weeks the frame arrived in a big box on my front doorstep...very exciting! 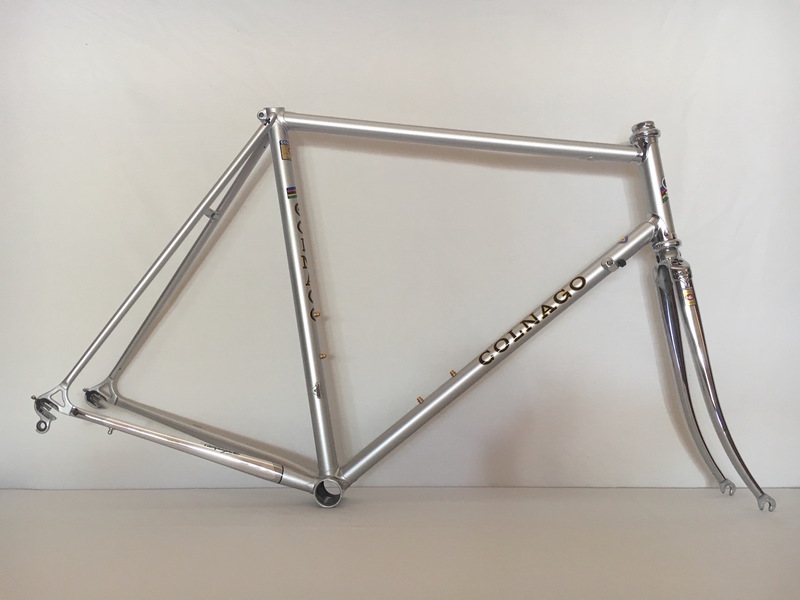 After unwrapping the frame I looked closely at it and was very pleased as it looked better than I had expected. 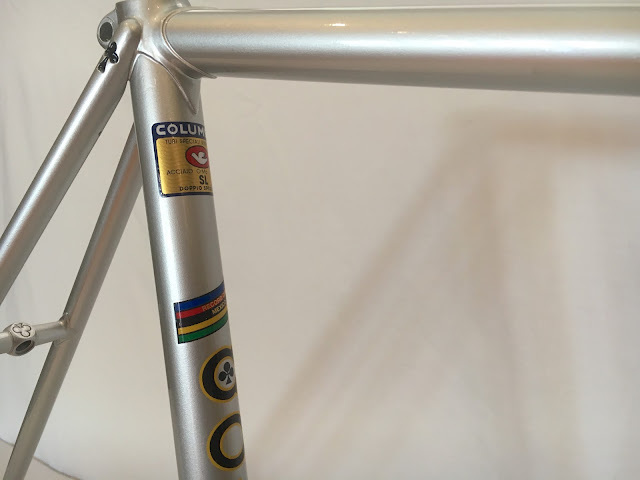 The frame needed re-finishing so after a bit of research I chose a colour scheme, acquired some new Colnago Super decals, and got in contact with my friend Cameron at Cyclecolor. He has a small workshop near Fremantle and his re-finishing of bicycle frames is amazing. Cameron treats all restoration jobs as if they were his own, he is very professional, and meticulous in the quality of his work. 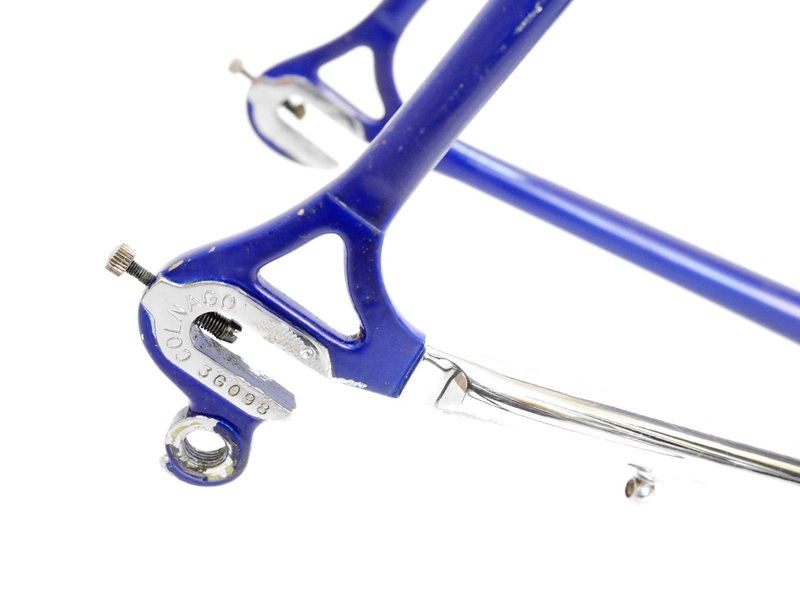 Check out the before and after images of the frame below...click on one of the images and that will allow you to tab through larger images. 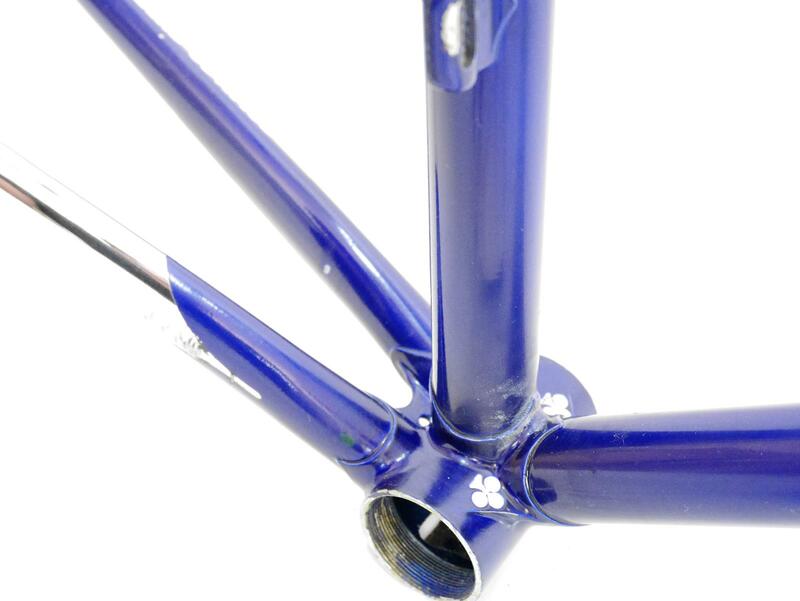 The photos of the finished frame here are quite average in quality and don't do the frame justice. In the flesh the quality of the job is beautiful in every respect. 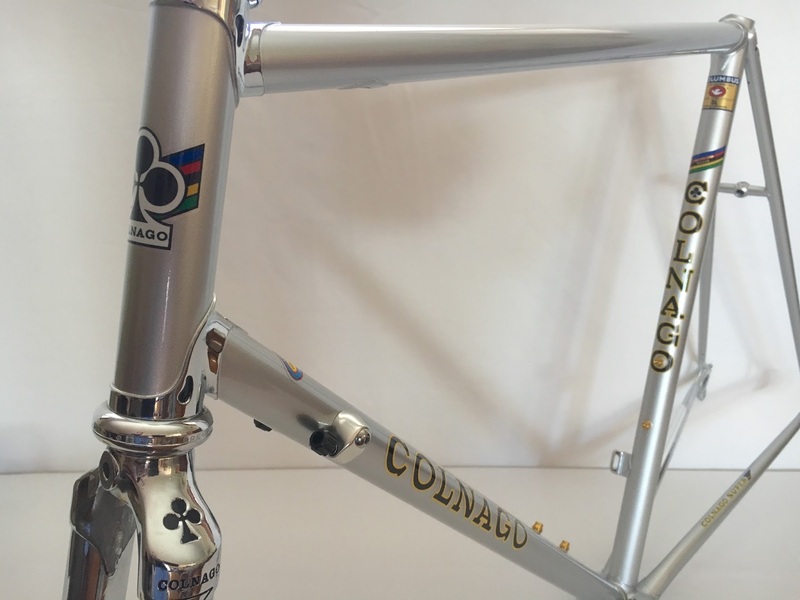 Thanks Cameron for an excellent job with my Colnago frame. 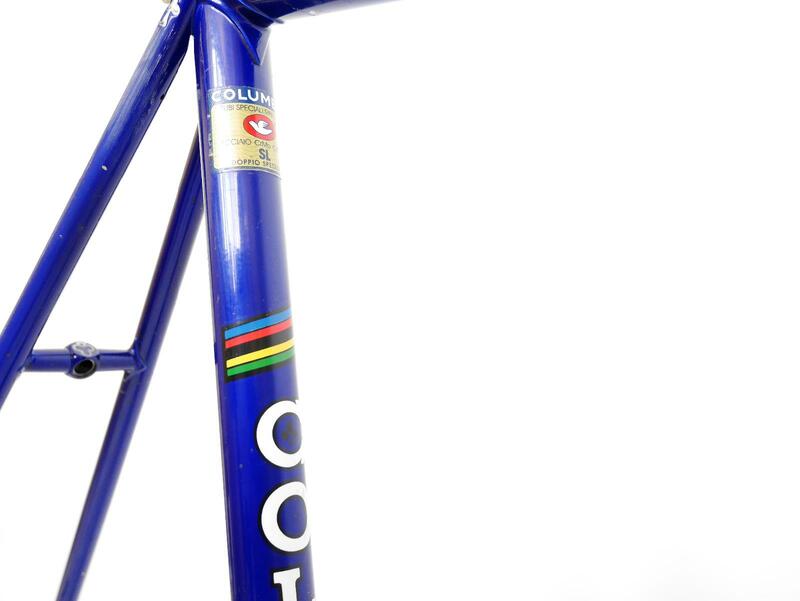 Cameron has his own website at Cyclecolor which is well worth a look if you are in need of a bike frame re-finish, vintage or modern. So my next decision for the built relates to group set choice. 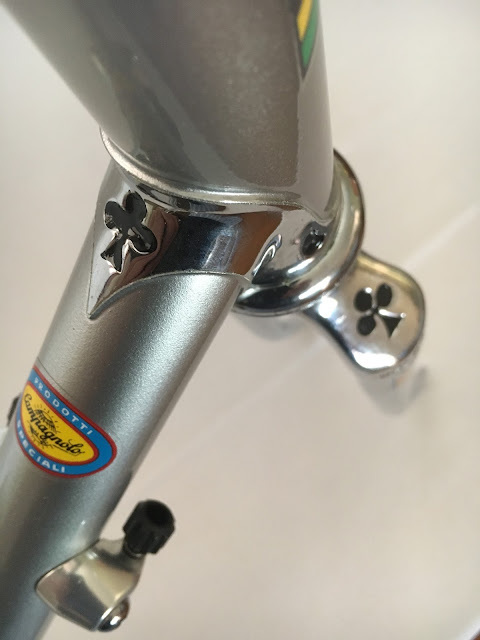 Campagnolo it will be, but I'm not sure whether to use a silver Potenza group, or an older Chorus group. 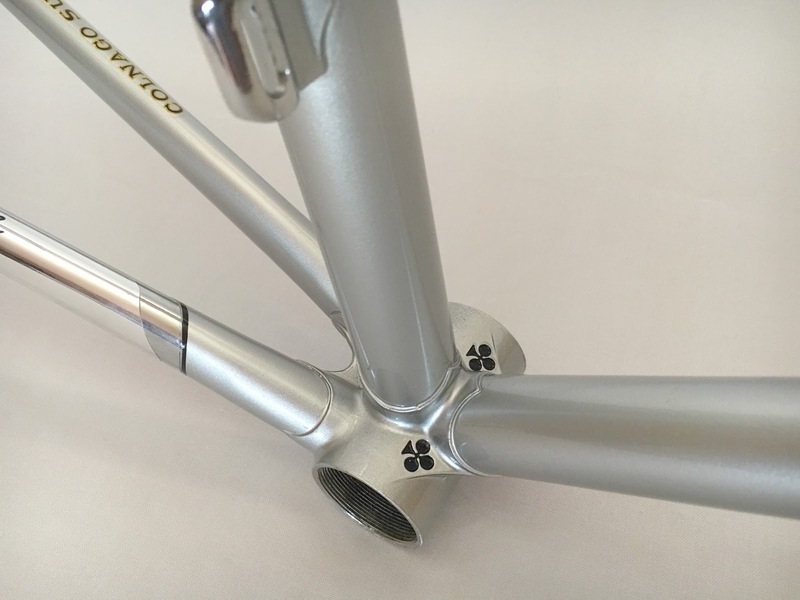 The new Potenza group set is very nice however it only comes with the new 4 arm crankset design which is a bit too modern for this frame. 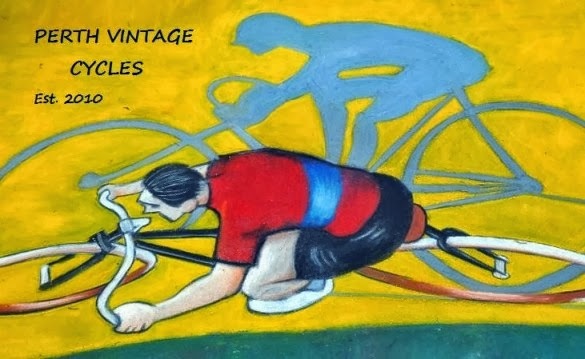 Perhaps I could even chase down a NOS Athena group set with a more traditional 5 arm crankset from a few of years back! 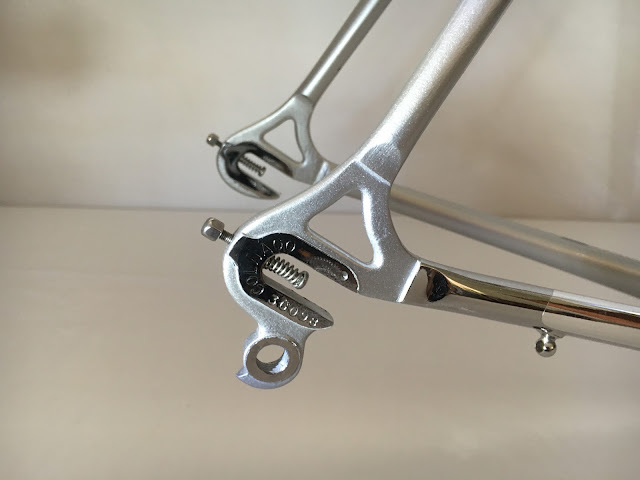 Well, it looks as though I'll be spending a fair bit of my time trawling the regular bike internet sites again!! 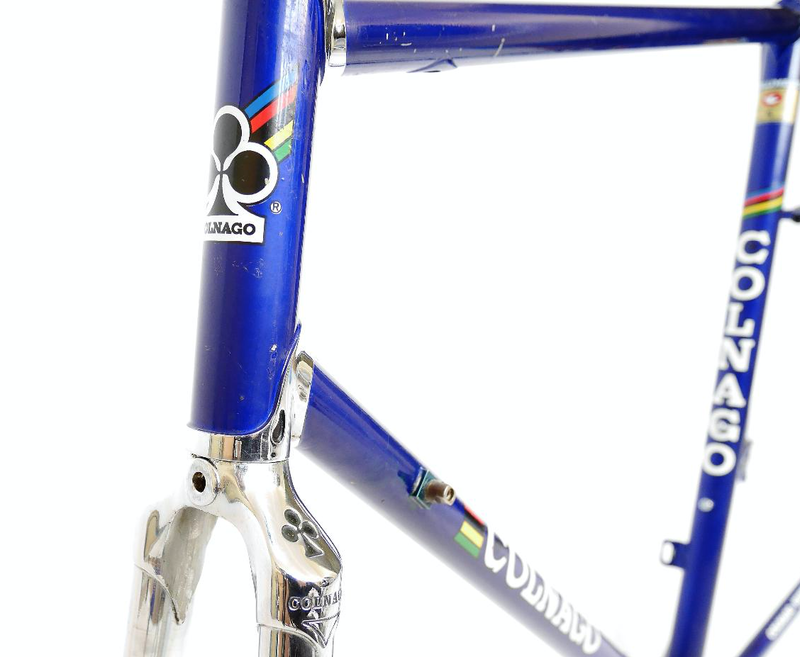 Labels: 1990's Colnago Super, Colnago Super, Colnago Super Piu, Cyclecolor, vintage Colnago.